Mr. S. S. Mundra is a seasoned banker, with a career spanning over four decades, during which he held various high level positions, including that of the Chairman and Managing Director of Bank of Baroda, Executive Director of Union Bank of India, Chief Executive of Bank of Baroda (European Operations) amongst others, culminating as the Deputy Governor of Reserve Bank of India, from where he finally demitted his office in July 2017. 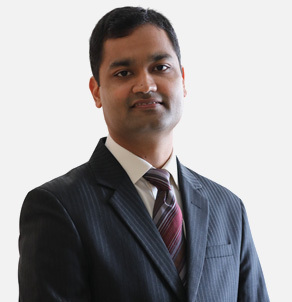 Mr. Mundra has expertise in banking, supervision, management and administrative matters. During his illustrious career, spanning over forty years, with various banks, he held several positions across functions and locations, both in India and abroad and has handled diverse portfolios, like core central banking, commercial banking – wholesale and retail, banking regulation and supervision, financial markets, treasury management, planning, economic research, investment banking, risk management and international banking etc. Mr. Mundra, a Post Graduate from University of Poona, is a Fellow Member of Indian Institute of Banking & Finance (FIIB). Amity University has conferred the Degree of Doctor of Philosophy (D.Phil. ), HonorisCausa, upon Mr. Mundra, in recognition of his services in the field of banking and related areas. Mr. Mundra has also served as RBI's nominee on the Financial Stability Board (G20 Forum) and its various committees. He was also the Vice-chairman of OECD's International Network on Financial Education (INFE). He has also been closely associated with various institutes / organisations like Governing Council of National Institute of Bank Management (NIBM), Governing Council of Centre for Advanced Financial Research & Learning (CAFRAL), Governing Council of Indian Institute of Banking & Finance (IIBF). 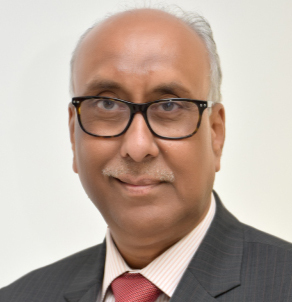 Prior to joining RBI, Mr. Mundra also served on Boards of several multi-dimensional companies like the Clearing Corporation of India Ltd (CCIL), Central Depository Services (India) Ltd. (CDSL), BOB Asset Management Company, India Infrastructure Finance Corporation (UK) Ltd. (IIFCL), IndiaFirst Life Insurance Company Ltd., Star Union Dai-Ichi Life Insurance Company Ltd., National Payments Corporation of India Ltd., etc. The experience gained in guiding these entities has bestowed him with wide leadership skills and keen insights in best practices in Corporate Governance. Mr. Mundra has been a regular presence as a Speaker on various Forums. He has delivered more than 100 speeches/presentations on diverse issues viz. banking, financial inclusion & literacy, MSME financing, audit, Fraud Risk Management, Cyber security, Consumer Protection, Human Resource Management etc. at both domestic and international forums. Many of these speeches have been published on the websites of Reserve Bank of India and that of the Bank for International Settlements. Presently, Mr. Mundra is on the Board of BSE Limited, DSP Investment Managers Private Limited, Indiabulls Housing Finance Ltd., and Airtel Payments Bank Limited as Independent Director, besides being on the Advisory Board of M/s. True North Fund V LLP, Encore Asset Reconstruction Pvt. Ltd. and BankBazaar.com. 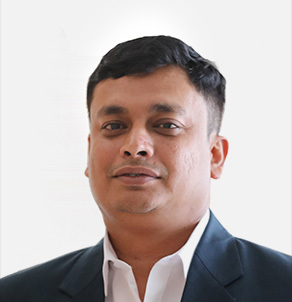 Mr. Shivanand Nimbargi is the Managing Director & CEO of Ayana Renewable Power Pvt. Ltd. Mr. Nimbargi has over 29 years of experience in the infrastructure sector. He was most recently the Managing Director & CEO of L&T Metro Rail (Hyderabad), one of the largest PPP projects in India, the first phase of which got commissioned in November 2017. Prior to his stint with L&T Metro Rail (Hyderabad), he was associated with Green Infra (now Sembcorp Green Infra), one of India’s leading renewable energy companies and Alstom, a French Power equipment major. During his stint with Green Infra as its Managing Director & CEO, the company more than doubled its operational capacity from 150 MW to ~700 MW and also built strong pipeline for future growth of the company. 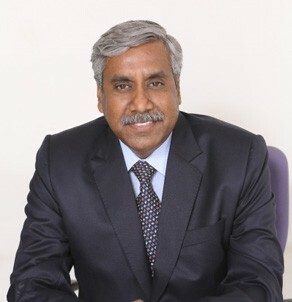 During his more than 15 years long association with Alstom, he was instrumental in starting Industrial Boilers and Plants Business, Turbo machinery Business as MD from the year 2004 to 2006, before taking the responsibility of Boiler Business and additionally managing the Coal Mills Product line as Vice President (Global P&L). He also served as a Director on the Board of NTPC Alstom Services Limited between 2006-08. He started his career with Babcock and Wilcox of India (now part of Alstom). 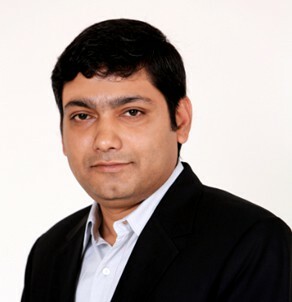 Shiv is a graduate in Mechanical Engineering and has pursued advance Management Program at INSEAD. 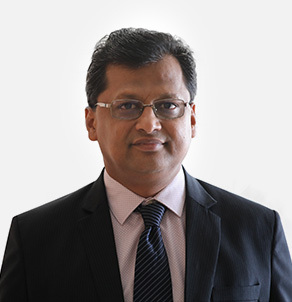 Srini Nagarajan is Managing Director and Head – South Asia of CDC India, a wholly owned subsidiary of CDC Group Plc., London, based in Bangalore since 2013. This relates to all CDC’s investments in South Asia for its three lines of activity; Fund of Funds, Direct Equity investments and Debt/Structured Finance. He joined Commonwealth Development Corporation, London in 1990, and was seconded to Africa where he served for about 8years. He moved to India in 1998 and worked for Actis Private Equity Fund. He has been on the board of several companies as Director and currently he is on the boards of 5 of the investee companies in India. Srini holds a MA from Madras University and MBA from Warwick School of Business and Leadership program from Harvard Business. As Managing Partner and Chief Investment Officer at IDFC Alternatives, a multi-asset class, India focused alternative asset manager with USD 3.5 billion under management, he was responsible for 28 investments deploying over USD 1.0 billion and monetizing 25 investments in full / partial exits. He initiated a sustainability focused platform for IDFC, before IDFC decided to exit the alternatives business. Satish was previously the Chief Financial Officer & Head of Business Strategy at JK Paper where he turned around the stressed company and brought in Goldman Sachs and IFC as shareholders. As Director at CDC Advisors for nearly 7 years, he focused on change of control transactions and exits, culminating in the buy-out of Punjab Tractor, which was recognised as the deal of the year in emerging markets. At SRF Finance Ltd. (part of GE Capital) he led stock-broking, financial advisory, investments, IPOs, etc. During his time at SRF Ltd. he contributed to strategic planning and business development. Satish started his career at the shop floor of Eicher Ltd. as an industrial engineer. He is a member of the Confederation of Indian Industries Committee on climate change. Ajay Aggarwal has joined Ayana as Vice President and Head - Company Secretarial and Chief Compliance Officer. Ajay Aggarwal has joined Ayana as Vice President and Head – Company Secretarial and Chief Compliance Officer. He is responsible for managing all company law matters and compliances of the company, its subsidiaries and associates. He is holding the additional position of Head – Business Integrity and is responsible to ensure maintenance of the highest standards of business integrity and compliance. With over 16 years of experience, Ajay has handled various portfolios like Company Secretary, Legal, Taxation and Commercial. His experience is mostly in renewable sector and he has worked with organizations like Tata Power Solar, Jindal group responsible for Company Law Matters, Service Tax & Excise, Customs, Sales Tax, getting subsidies from MNRE. During his association with Jindal Aluminium Limited, he was instrumental in setting up of the first 10 MW Solar Power project in the state of Karnataka. Ajay is an Associate Member of the Institute of Company Secretaries of India and a Law Graduate from Jammu University. He also holds a Post Graduate Diploma in Business Management awarded by Indira Gandhi National Open University. Gurmeet Chadha has joined Ayana as Vice President and Head of Human Resources. 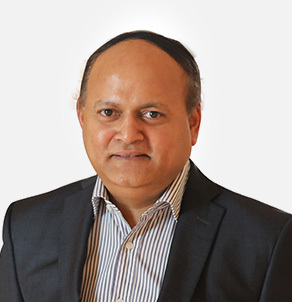 Gurmeet Chadha has joined Ayana as Vice President and Head of Human Resources. Gurmeet has an overall work experience of more than 17 years. 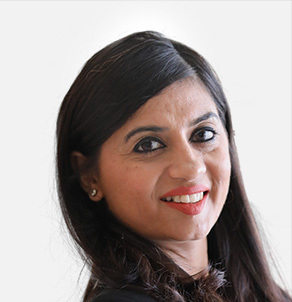 Prior to joining Ayana, she has worked as head of HR for companies like Sembcorp Green Infra Limited, Caparo Automotive Systems, where she was responsible for establishing and executing competitive HR systems and processes that encourage employee absorption; growth and retention. She also worked for Delphi Automotive systems where she was part of Asia Pacific team in driving HR and Learning and Development initiatives for the Asia Pacific region. She holds a Masters Degree in Business Studies from Bhartiya Vidyapeeth Deemed University, Pune and Bachelors of Commerce from Punjab University. 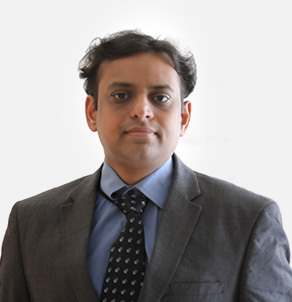 Nishant Kumar has joined Ayana as Vice President and Head - QHSE & CDP. 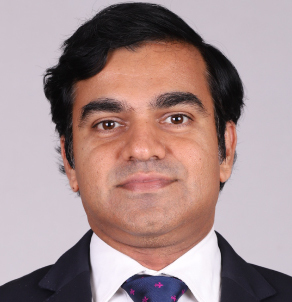 Nishant Kumar has joined Ayana as Vice President and Head – QHSE & CDP . He has 15 years of work experience in the field of QHSE and CSR. Prior to joining Ayana, he has worked for companies like, Sembcorp Green Infra Limited, Leighton- Contractors Private Limited for Chenani & Nashri India’s Longest Road tunnel project, SKEC & KCT for Indian Strategic Petroleum Reserves Limited , Underground rock cavern project; Baxter India Pvt. Ltd, Hydro Power project of Gati Infrastructure Limited and Hindustan Coca Cola Bev. Pvt. Ltd. During his tenure with these organizations; He was leading QHSE and CSR Function. He holds a MBA, Supply Chain Management from IMT Ghaziabad, Masters in Environmental Science and Bachelor Degree in Environmental Science and Water Management from A.N College, Patna. Praveen Singh has joined Ayana as General Counsel. He is responsible for managing all corporate legal affairs, contract drafting and negotiations, litigation and regulatory matters of the Company and its subsidiaries and associates. He has more than 14 years of experience as corporate commercial lawyer. He has experience in dealing with all facets of business activities in power sector, including M&A, foreign direct and downstream investments, capital market transactions, and raising off-shore finances. 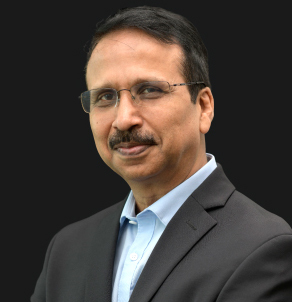 Prior to joining Ayana, he was associated with Sembcorp Green Infra Limited as Vice President & Head-Legal and FoxMandal & Co., a law firm as Senior Associate on corporate practice side handling M&A, PE investments, capital market transaction and general corporate and commercial advisory for multiple sectors and functions. He was awarded Bachelor of Laws (LL.B.) by University of Delhi and a Post graduate degree (LL.M) by National Law School of India University, Bangalore. Rohit Chandak has joined Ayana as Chief Financial Officer. Rohit Chandak has joined Ayana as Chief Financial Officer. He has 11 years of work experience. Prior to joining Ayana, he has held various positions including CFO, CEO and was part of the executive leadership team at Uniquest Infra Ventures (Khazanah Nasional Berhad & IDFC Bank’s JV platform for toll roads). Rohit’ experience spans over covering various aspects of infrastructure investment and project financing in India. He has handled M&A, project financing, corporate financial planning & controllership, transaction structuring and F&A. In this role, he managed critical interactions and relationship with key stakeholders including shareholders, banks, auditors, rating agencies etc. He was also responsible for raising debt funding for all the investee companies. He has led the team and successfully closed various fund raising assignments of over INR 13 Billion. On investment side, he was involved in project identification, evaluation, due diligence, negotiation and end to end closure of M&A transactions. He also represented Uniquest on the board of directors of three investee companies. Prior to that, he has worked with IDFC Projects and Bank of America. Rohit is also a visiting faculty at Indian Institute of Management (IIM) Indore and guest faculty at Indian School of Business (ISB) Hyderabad/Mohali. Rohit is a Post Graduate in Management (PGDM - Finance) from IIM Indore and Bachelor of Commerce (Hons.) from Delhi University. Rengarajan Sadagopan has joined Ayana as Vice President and Head of Business Development. Rengarajan Sadagopan has joined Ayana as Vice President and Head of Business Development. Rengarajan has an overall work experience of more than 15 years. Prior to joining Ayana, he was playing a dual role of General Manager for Business Development and Operations & Maintenance at SoftBank Energy. In this role, he has led the team to win 400MW of Solar Projects and built up the Operations & Maintenance platform from initial stage. During his long association with ABB, he has led various Engineering groups and Overseas Project group. His expertise domains include Oil & Gas, Cement, Metals and Marines. For contributions during this tenure, he was awarded for his performance for 3 consecutive years. During his 8 long years association with ABB, he has led various Engineering groups and Overseas Project groups. He holds a Bachelor’s Degree Engineering (Electrical and Electronics) from Madurai Kamaraj University and Master of Business Administration (International Business Management) from ICFAI. Sureshnathan has joined Ayana as Senior Vice President and Head of Procurement and Project Execution. Sureshnathan has joined Ayana as Senior Vice President and Head of Procurement and Project Execution. 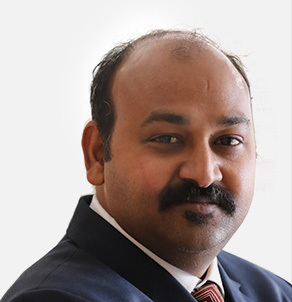 Suresh has an overall work experience of 26 years spanning across diverse industry segments such as Renewable Energy, Telecom , Manufacturing and Construction Industries . Prior to Ayana, He was with SunEdison as Director – SCM for Asia Pacific and Africa where he was involved with conception to commissioning of 1800 MW + Solar and Wind project in Asia Pacific region. Sureshnathan played a key role in M & A and migration of assets from SunEdison to Greenko as well as completion of pipeline projects including India`s Largest Solar Power Plant (816 MWp) at Kurnool. He was Global Sourcing Head – Infrastructure for Airtel during 2008 – 2015. He holds a Bachelor of Science (Engineering Technology) from BITS Pilani and Master of Business Administration in Operations Management.